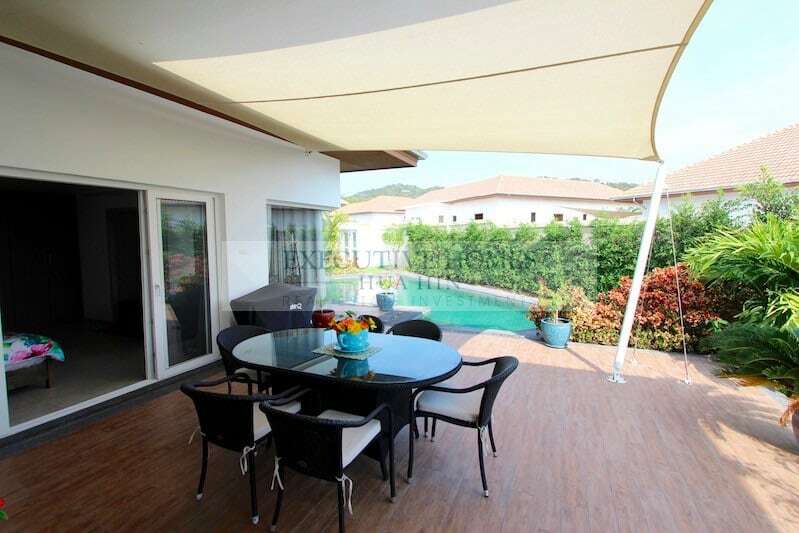 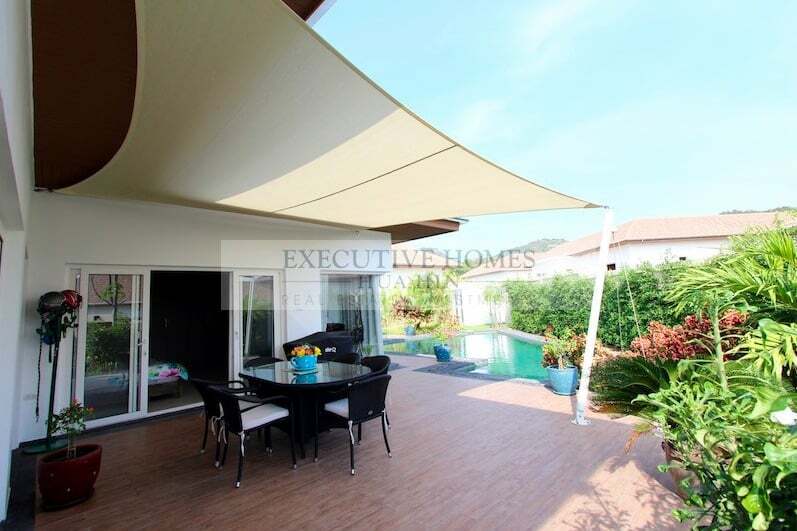 This brand new villa is furnished to a high standard and comes with many luxury amenities. 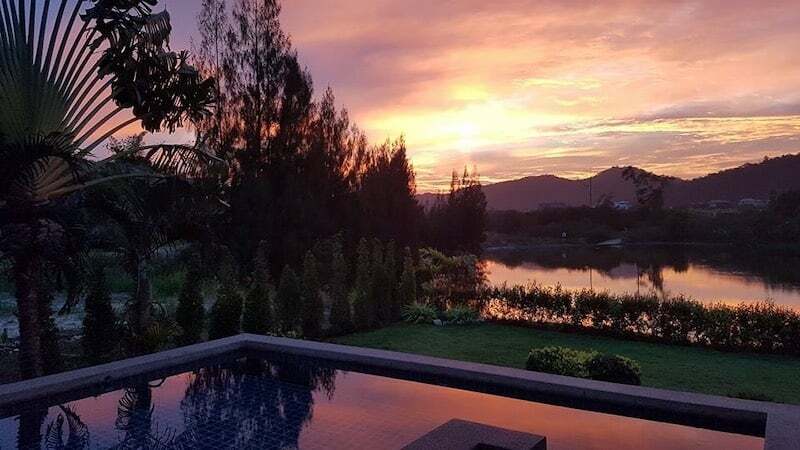 The villa comprises of 3 large bedrooms, two large bathrooms (plus a resort-style garden shower), a very high-end, modern kitchen from Kvik, a laundry and utility room, two terraces and a large swimming pool. 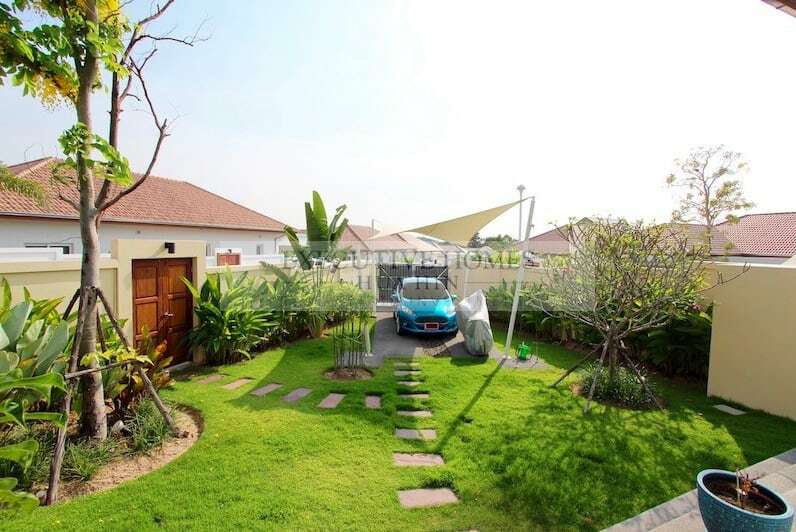 The gardens are professionally landscaped, and there is a covered area for your vehicle. 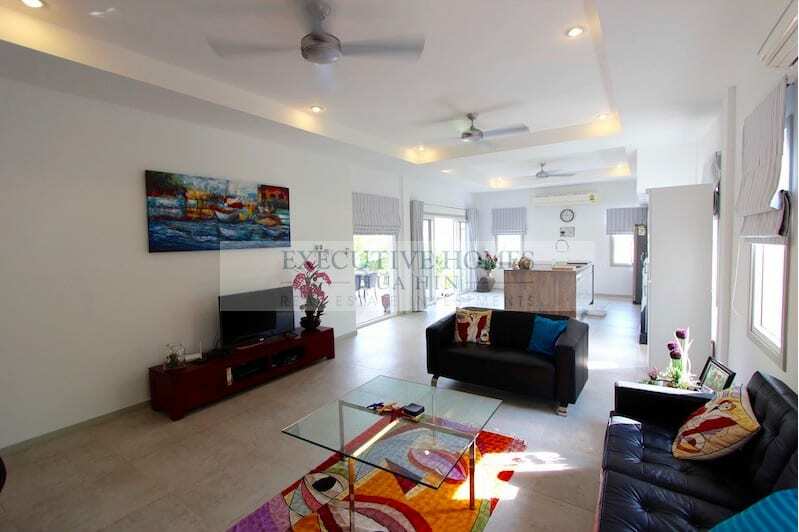 The home has an open plan design with a spacious, open feeling a lot of light throughout, making the home feel cheery and bright. 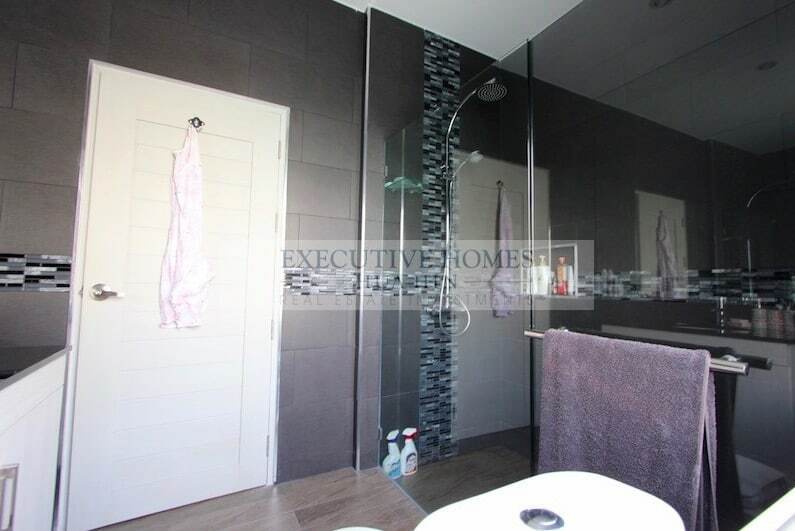 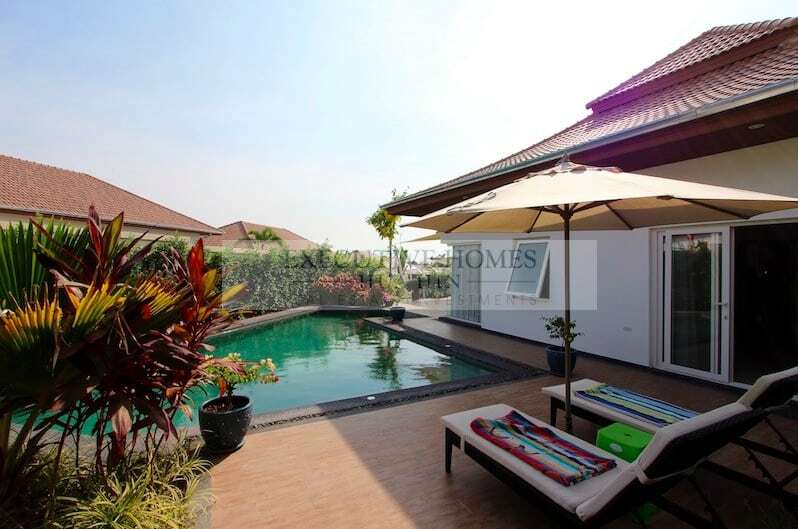 The house is situated on a nice corner plot allowing for extra privacy and easy access. 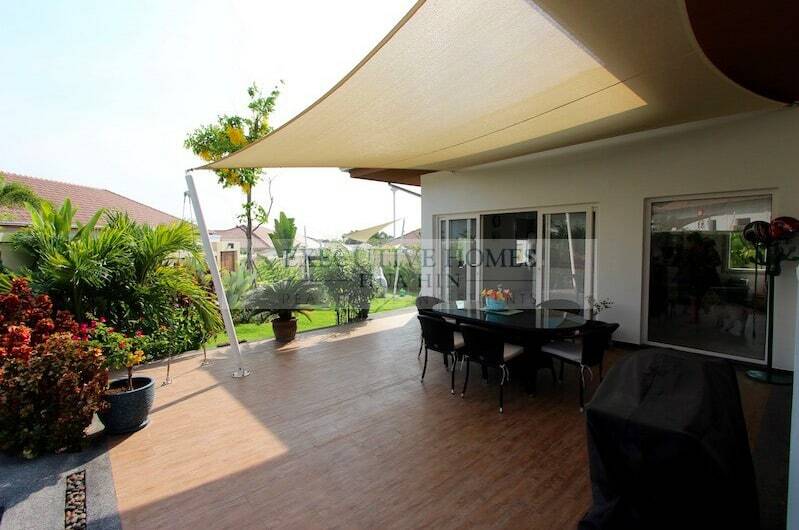 The corner plot also allows for a fantastic breeze throughout the day. 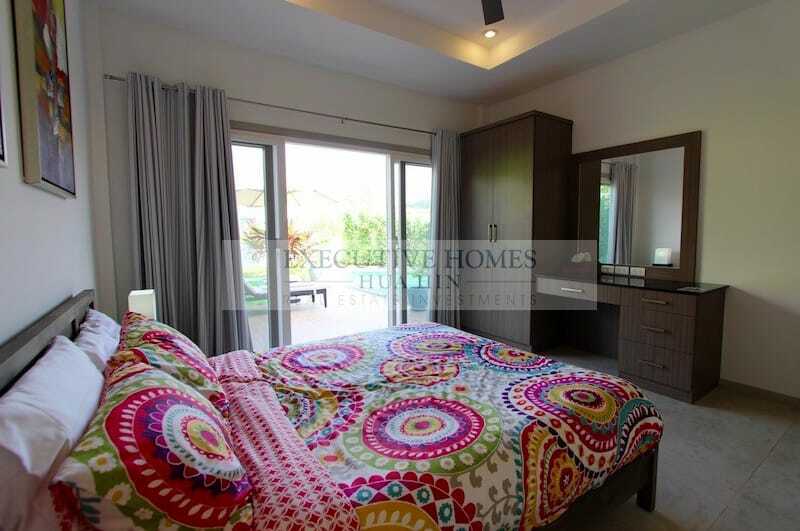 There are built-in wardrobes for each of the three bedrooms, and the master bedroom has a large en suite bathroom and vanity area. 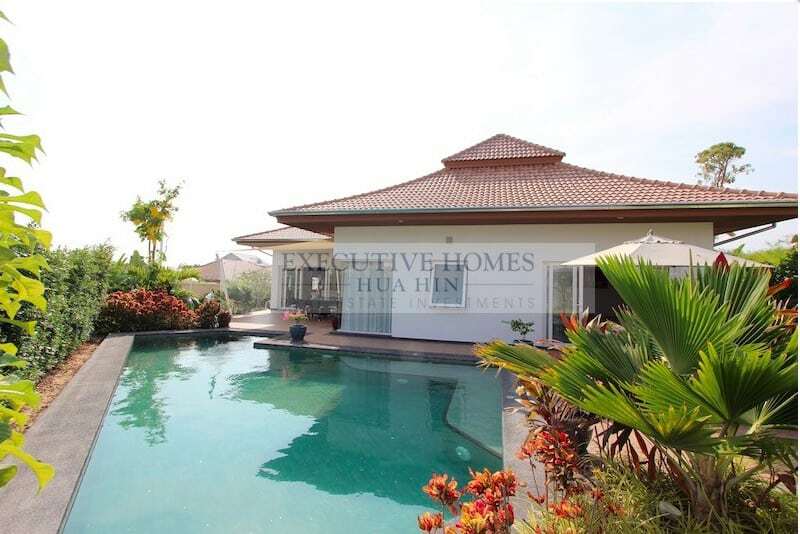 The house is fitted with satellite TV and fiber optic internet. 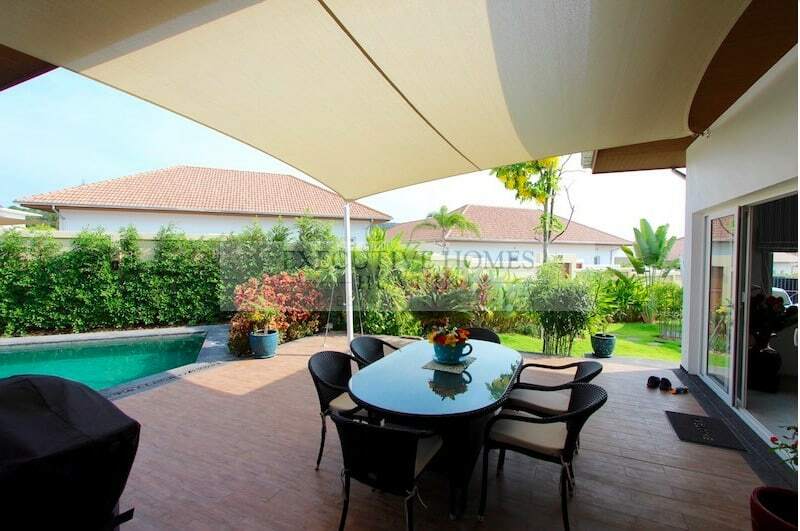 Gardening and pool maintenance are included in the rental fee. 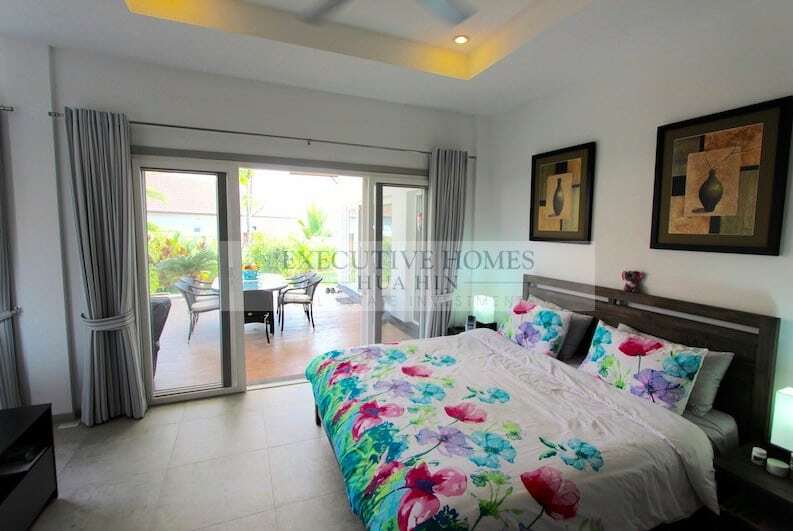 There is 24 hour security at the development, as well as shuttle bus service 4 times daily. 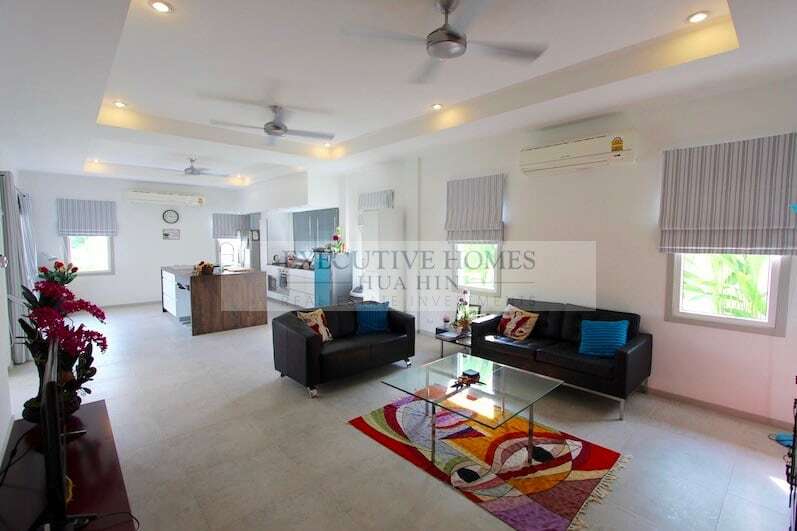 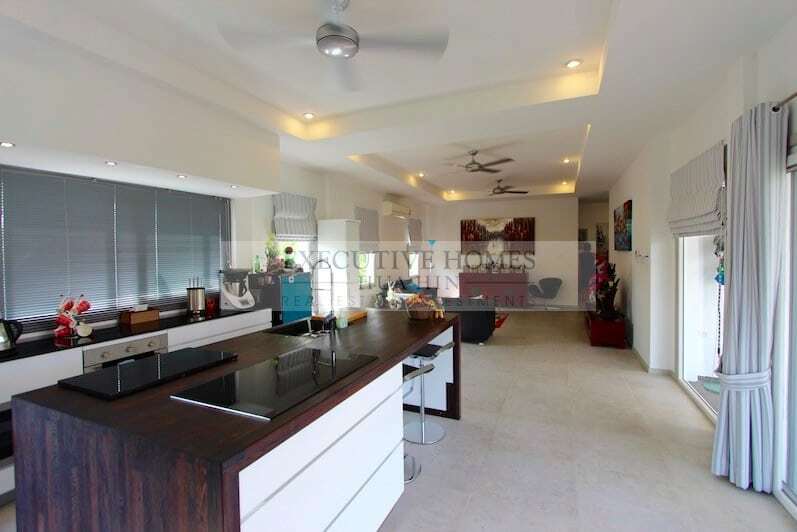 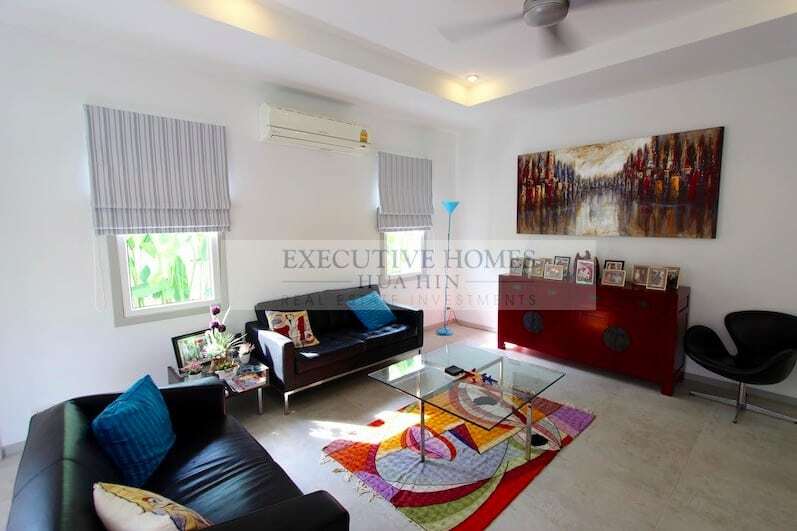 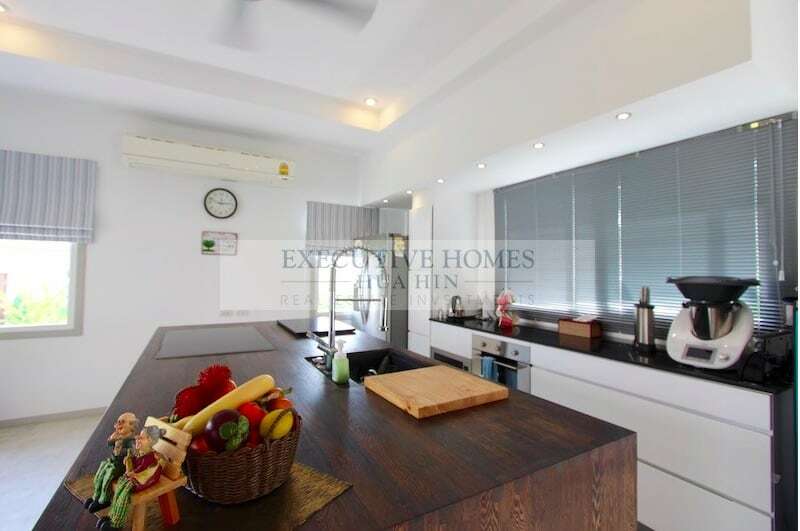 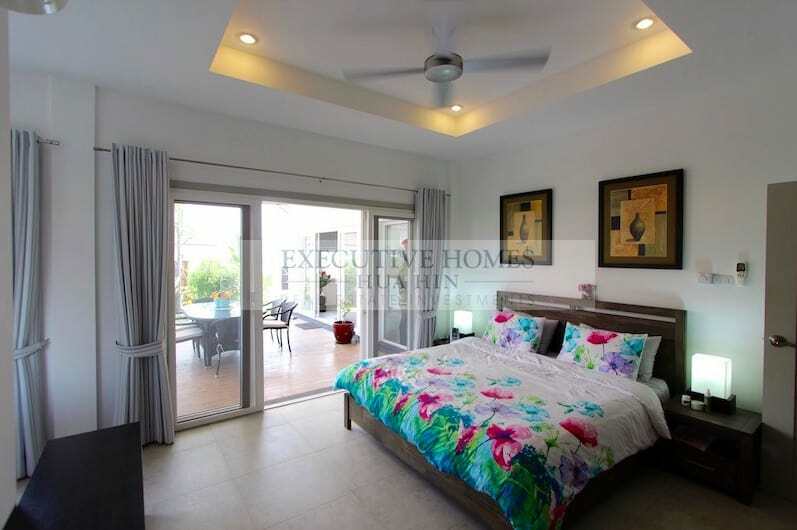 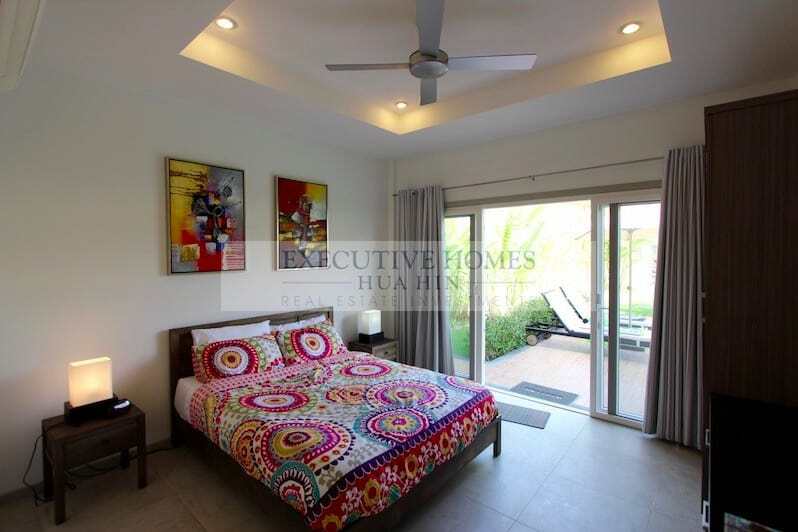 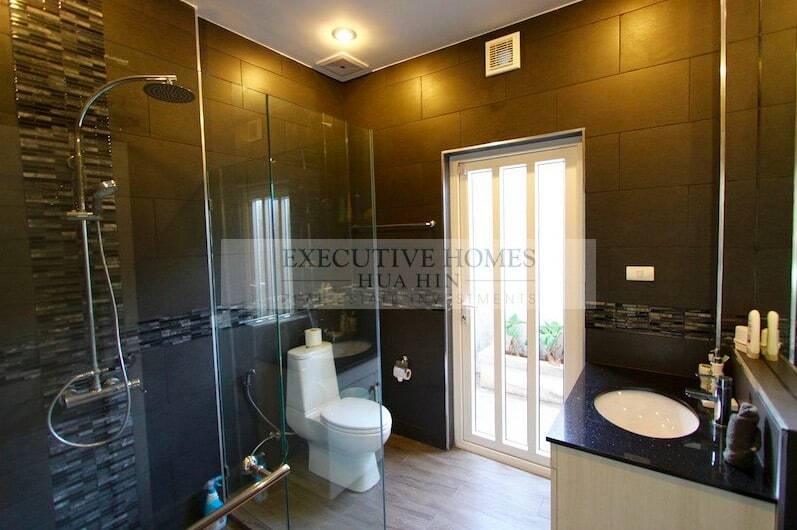 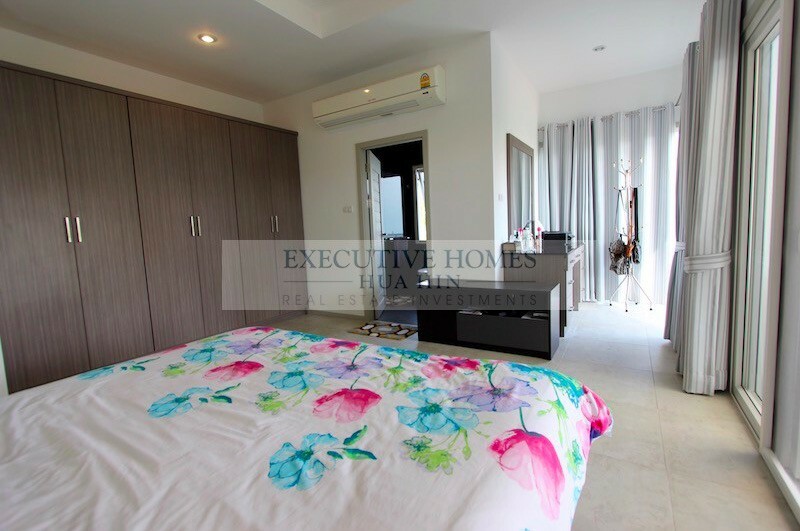 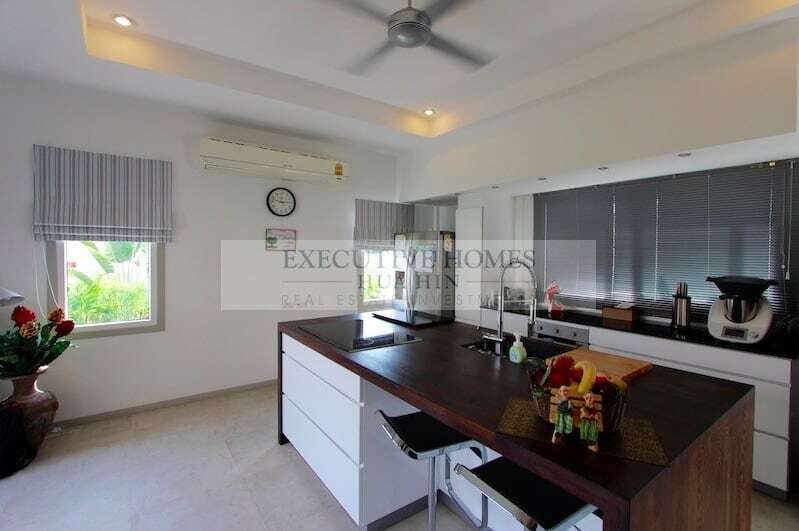 The location is only 3 minutes to the Banyan golf course, or 10 minutes to downtown Hua Hin.